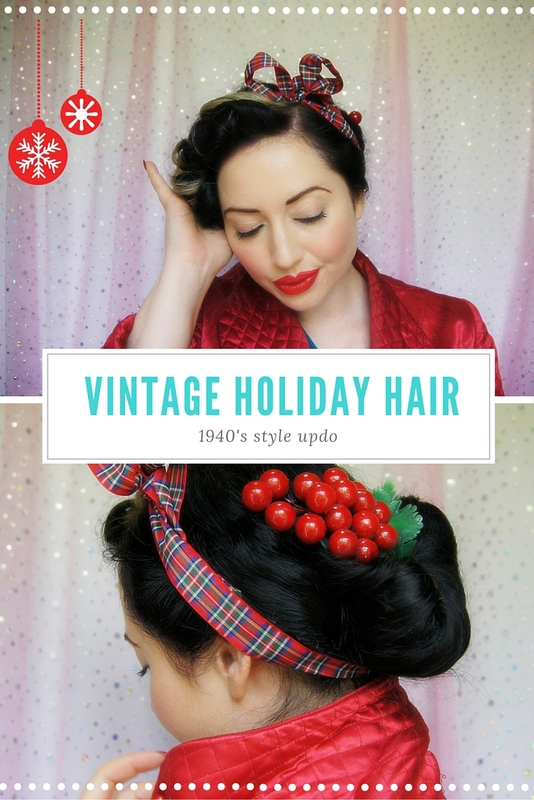 Here’s the perfect vintage hairstyle for Christmas – our summer holiday season! Christmas in Australia is often during the hottest part of the year, so choosing the right hairstyle to keep you cool and chic is an integral part of putting your look together. This is a cute 1940’s hairstyle that involves pin curling and a roll at the nape of the neck. I’d suggest this as an intermediate skill level, or one you want to try a few times before the big day. It takes about 1 1/2 hours to do, simply because the pin curls need to dry in the middle of it. So this isn’t a last minute before you leave hairstyle either. You could choose to skip the pin curl setting and shave off a heap of time by using a curling iron for those sections if you want to. If you do decide to give this one a whirl, let me know how you go and maybe even share pictures of your ‘do’ on Instagram with me! 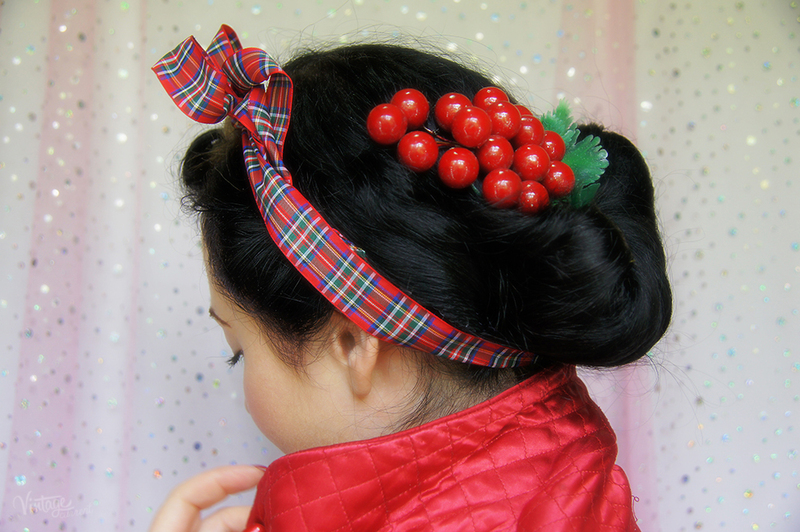 Next articleFour NEW Ways to Tie a Headscarf – Even More Vintage Glamour! Such a cute tutorial, thank you! Just growing out my bob so its still too short at the back to do this but I cant wait to try out the pin curls! 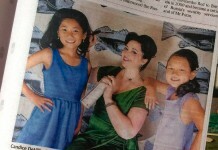 Thanks for the great tutorial Candice, I love how you rolled the ribbon with the hair. One question; have you tested the frizz serum for the humid weather? 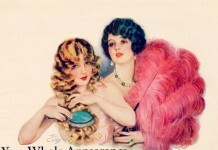 All of us Qld based vintage girls rely on de-frizz serum at this time of year! Have a vintage fabulous Christmas! Whatever hair style you try , it always looks terrific! That split foam rat is a great idea ! This has to be my favourite tute you’ve done! Thanks!